I really love my STX Dehydra dehydrator. We have used it to make apple chips, pear chips, banana chips, dried pineapple, dried strawberries, oranges (yuck) and even yogurt. A little tiny lightbulb went off in my head, and the next day we were making raisins in our dehydrator. Start boiling water. You’ll need to blanch the grapes to soften up the skin. 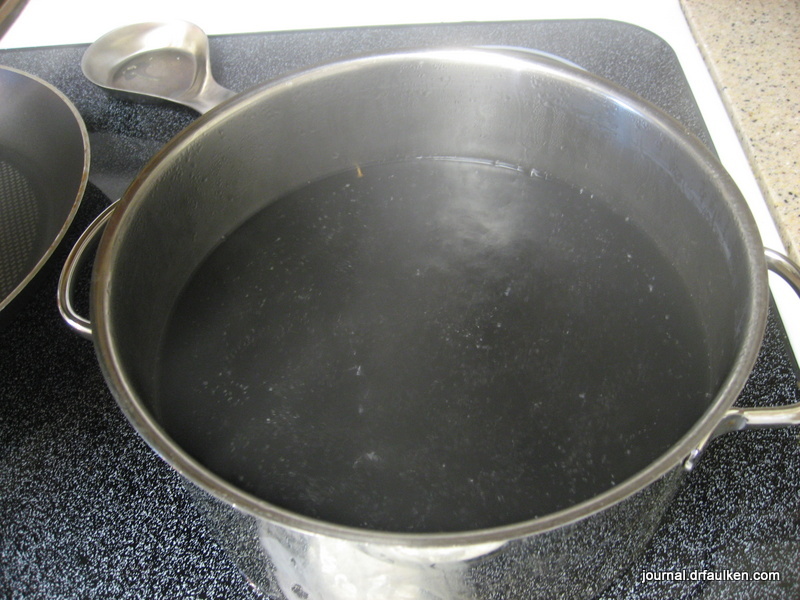 While you get the water boiling, proceed to the next step. Remove all the stems. These might boil off in a later step, but you can’t be too sure. If you have as many grapes as we did you will start blanching the first clutch of grapes while de-stemming the next. 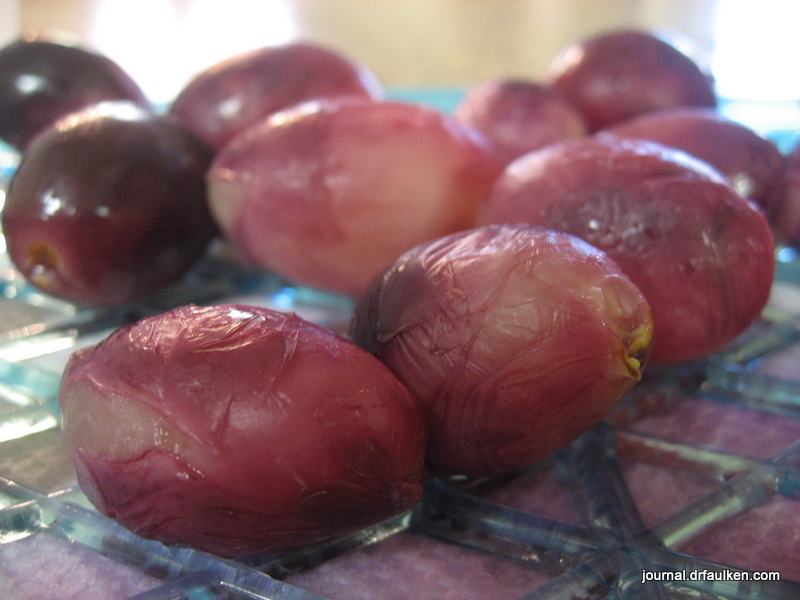 Blanch the grapes in boiling water for 2 minutes. This is going to turn the water dark purple. 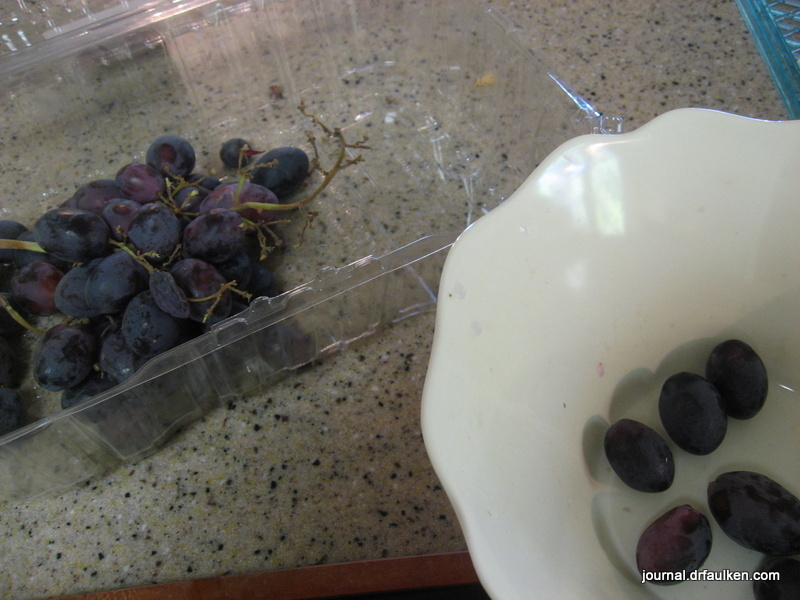 You will need a large slotted spoon or hand strainer to retrieve the grapes. I couldn’t see if I was getting the grapes, so I pretended like the grapes were homeless guys and my spoon was a police dragnet — after three completely empty dredges I gave up. Put the grapes on the dehydrator trays. I have delicate paws, so I let the grapes cool off first. Dehydrate for at least 24 hours. The length of time is going to depend on the capabilities of your dehydrator, the size and number of the grapes, etc. Hide the raisins from the kids. If you want any for yourself you’re going to have to hide them. 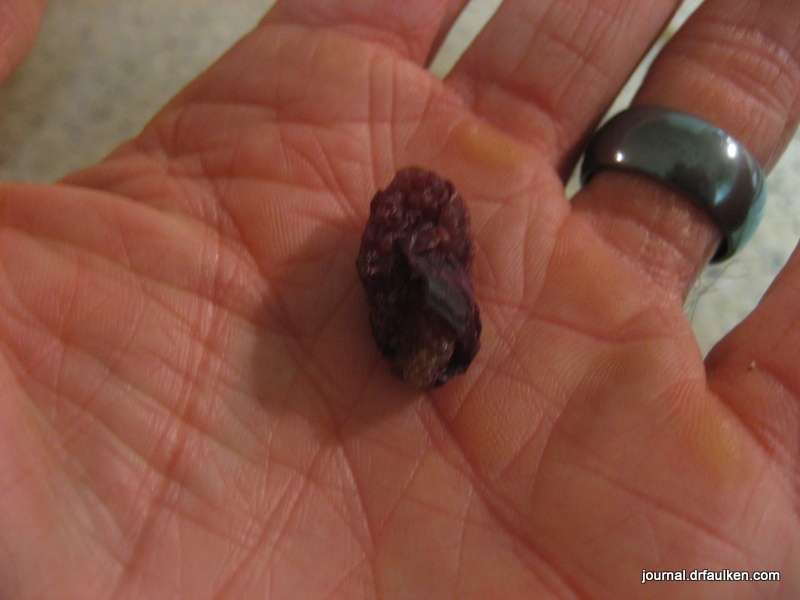 The raisins were larger and more tasty than any storebought raisins I’ve eaten. Storebought raisins have a waxy feel to my mouth, and I’ve avoided eating them ever since I was old enough to pack my old lunch. I knew that commercial banana chips were radically different from the ones we made. I think raisins aren’t nearly as drastic, but the difference is still substantial. Like all other dehydrating attempts (with the exception of strawberries and oranges) the process was easy, fairly neat, and inexpensive. Oh yeah, and completely super tasty.